The annual Taipei International Book Exhibition is under way. The book fair kicked off Tuesday, with over 700 publishers from more than 20 countries taking part. 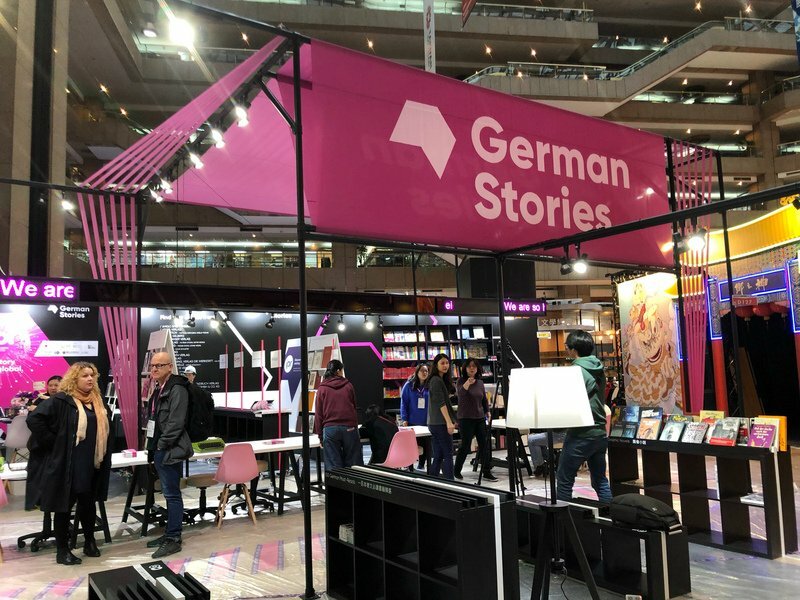 At this year’s Taipei International Book Exhibition, it’s Germany’s time to shine. The German pavilion is called “German Stories”. Its minimalist design is a nod to the centenary of the German art school Bauhaus. There are 400 German publications on display, with one section devoted to books on artificial intelligence. There is also a reading area for children. At the opening of the fair, the head of Goethe-Institut Taipei, Jens Rösler, said that democracy and diversity are the shared values of Taiwan and Germany. He said the 13 German writers invited to attend this year’s event will exchange views on these shared values with local readers. The fair also features a tea house set up in honor of the late Chinese novelist Louis Cha. Cha, who wrote under the pen name Jin Yong, has been referred to as the grandfather of martial arts novels. The event’s other highlights include a Creative Comic Collection, Taiwanese literature, and displays by independent bookstores. This is the last time the fair will include a children’s books section. For this reason, this year’s fair features a pavilion called “Taiwan/ Bologna 30: Illustrators Exhibition.” The exhibit aims to introduce Taiwanese illustrators of the three decades. It’s been 30 years since a Taiwanese book was first selected for the children’s book fair in 1989.